Did anyone ever perform RFC benchmarking for layer-2 using JDSU testsets or similar, through Mikrotik’s EoIP? We’re using RB2011il-rm’s, and are getting bit errors and LOF and out-of-sync’s. MikroTik does RFC testing and publishes the numbers on their website….this was intended to be more of a real world performance test. We did a similar test using 3 x CCR-1036-12G-4S but were unable to obtain high throughput with IPSEC. All our links were set at 1Gig because of the limitation of our end devices. With interfaces capped at 1Gig, configured with EOIP only we got 650Mbps. 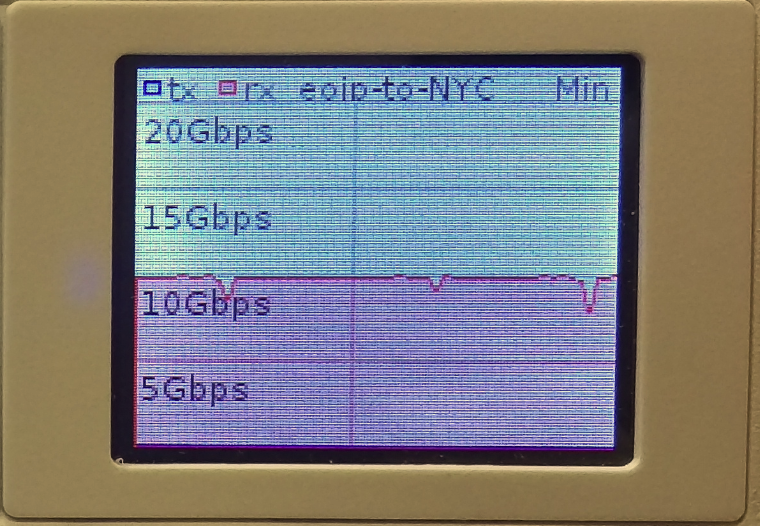 Once we issued the IPSec-secret command for the EOIP interface, that traffic dropped to 38Mbps. Did you have to do change anything besides MTU? IPSec parameters? Thank you for posting the MT’s updates. Can you share your configuration with us please? 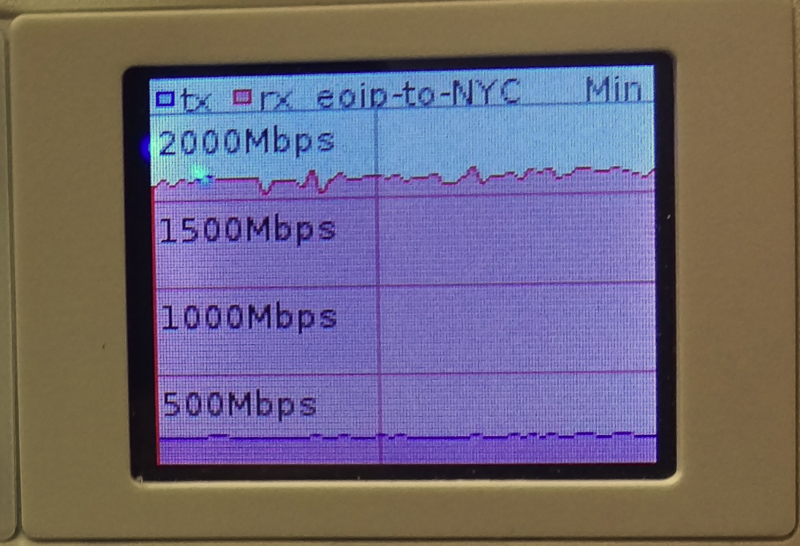 We use the MT’s to L2 connect our remote sites across ISPs but the best we’re able to get is 38Mbps with EoIP+IPsec. We’re hoping your config can shed some light as to why we’re not able to achieve the performance numbers you’re able to accomplish. Unfortunately, I don’t have the config from that test anymore, but considering the devices were directly connected in a lab, you might want to use two test devices and directly connect them with your current config and see if the speeds improve. If they do, then you know there might be an issue with your provider.